Family ski holidays in Lech offer everything you could need and we have plenty of well priced accommodation options listed on our website both in chalets and hotels. If you are trying to keep costs down then please do not worry. Although this Arlberg classic is widely considered as Austria’s premier ski resort with a large collection of truly luxurious (and fairly pricey) hotels and chalets there is also plenty of choice in both hotel and chalet style accommodation for cheaper family ski holidays in Lech. With its modern, high speed lift network; large, gentle ski area (which thanks to its geographical location is also very snowy), welcoming mountain restaurants serving tasty and relatively inexpensive lunches, and very easy airport transfers from either Innsbruck (1.5 hours) or Zurich (2 hours) Lech surely has to be one of the best family ski resorts in the Alps. There are plenty of considerations for a successful family ski holiday and Lech has it all covered. Already mentioned are the easy airport transfers but these should not be underestimated. Consider that families normally travel in peak season (Christmas, New Year or February Half Term) and although many of the French resorts (which are also good for family skiing) claim an airport transfer time of 2.5 to 3 hours this can be very different on a peak week, and when the weather also runs against you the 3 hour transfer to Tignes or Val d’Isere can easily turn into 8 hours. The airport transfer to Lech on the other hand is either motorway or dual carriageway to within a few miles of the resort so you are very unlikely to experience travel chaos. We usually recommend flying into Zurich rather than Innsbruck for two reasons. 1) There is a huge array of flights from the UK to Zurich to choose from meaning a greater choice of flight times, and because there are more flights each day they tend to be cheaper than those to Innsbruck. 2) Although Innsbruck is 30 minutes closer to Lech than Zurich the flight into Innsbruck can be quite alarming especially if you experience some turbulence on your descent or take-off. Those mountains can seem awfully close at times – so we recommend the less bumpy flight to Zurich every time, even if it does add 30 minutes to your transfer time. Lech has enormous charm – it is everything you could want from an alpine resort including horse-drawn sleighs. The resort is spread out along the pretty river that winds its way along the broad valley floor. There are no serious hills to walk up or down unlike in St Anton, Verbier, Courchevel or Meribel and there is plenty of sunlight that reaches the resort level even in December, unlike Chamonix and Zermatt. So it’s easy to get around Lech and when the sun comes out it looks as charming as any alpine resort. There are no high-rise, ugly apartment blocks (as in Val d’Isere, Tignes or Les Arcs) and all the chalets and hotels in Lech are traditional in character. With flat ground and the wide walkways that follow both the river and the superb shopping, walking is how one gets about which makes the pace of the resort unhurried and stress free. An easy 3-4 minute stroll from your hotel or chalet to the ski school meeting point or lifts is so much more appealing than cramming onto a packed resort shuttle bus – those who know Val d’Isere and Verbier know what we mean. Family ski holidays in Lech – what to do when the weather is bad? Lech is one of the few alpine ski resorts that are a pleasure to be in when the weather really closes in. Zermatt has its charm, and St Moritz too but Lech has more to offer than either of these resorts when the weather is too bad to ski. There are some really great walking trails in and around Lech which all the family would enjoy. You can catch the cable car up to Oberlech and then wind your way back down to the main resort through the trees, or catch the bus to Zug (about 4km away) and walk back along the trail that runs beside the river. There are some great shops to browse and none are more spectacular than the Strolz shop which has prime position on the main street. 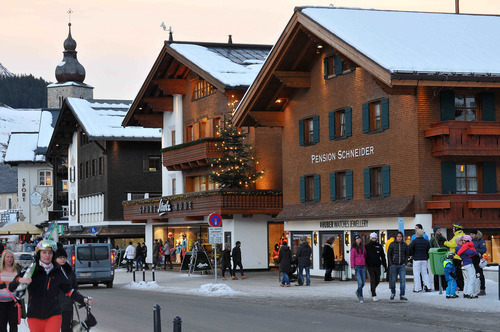 Here you will find 5 floors of ski ‘bling’ and winter sports equipment – a department store of luxury ski wear and kit. If shopping is not your thing then most of the hotels in Lech have really good spa facilities – there is nothing like an afternoon spent relaxing in saunas, steam rooms and swimming pools. The Austrians really do the whole spa thing exceptionally well. If you are feeling brave then you can always tackle the toboggan run which descends from Oberlech to Lech which gives you 275 vertical metres of thrills. 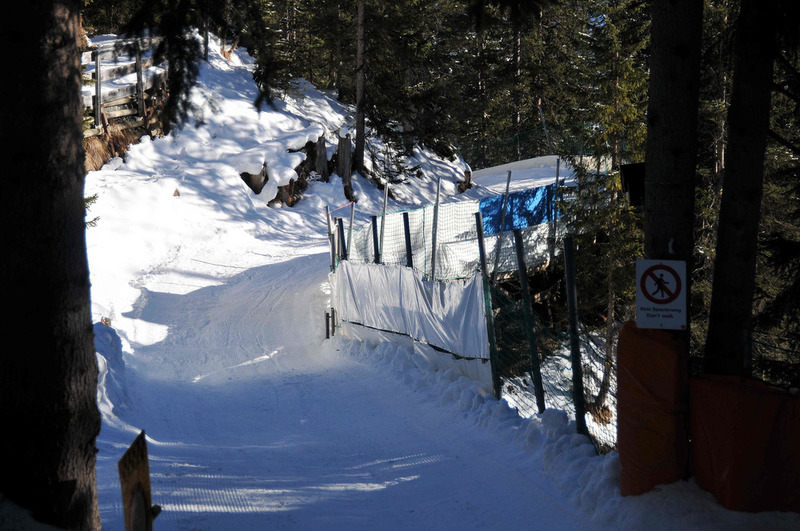 This track runs through the trees and has some ‘Cresta-esque’ banked corners, netting and crash barriers. So if your family ski holiday in Lech involves entertaining energetic teenagers why not give the toboggan run a go. It might just give them the thrills they seek. There are a large number of superb hotels in Lech and of course any of them would welcome a family booking. 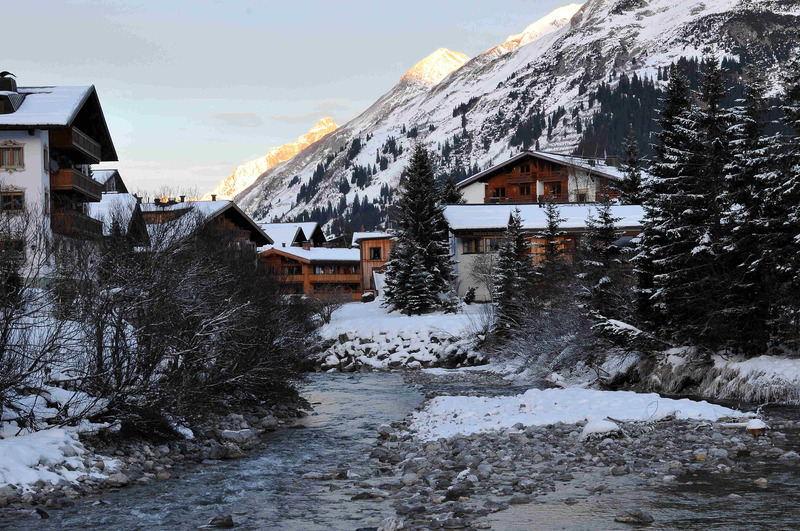 The 5 star Hotel Arlberg is charming, old school and lovely, and at Christmas has an amazing gingerbread village on display – hotel of this stature is content with displaying just a gingerbread house! The Gasthof Post Hotel is just as delightful and has a wonderful modern spa, the Hotel Krone is also very comfortable and the Hotel Kristiania offers arguably the best cuisine in Lech. However, with a family ski holiday sometimes it’s best to aim one notch down from the formality of a true 5 star hotel. For this we recommend without reservation the lovely 4 star Hotel Monzabon. 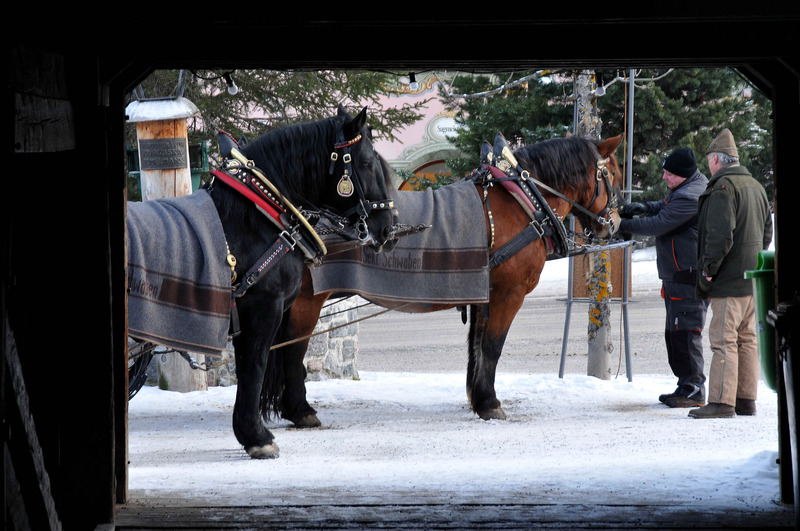 Melanie, the owner, and her friendly team are unfailingly welcoming and the hotel has all the facilities a family would need including an ice-skating rink and a ski in ski out location right by the main lifts and ski school meeting point. Just a short walk from the main high street, Rufikopf cable car and situated on the nursery slopes is the very well priced Chalet Hotel Montfort. This British run property sleeps 25 – 35 guests and makes a superb choice for a family ski holiday in Lech. It comes packaged with flights from either London, Manchester or certain regional UK airports and offers very comfortable accommodation and an informal, friendly atmosphere from £799 per person (Dec 2015) including flights, transfers and chalet board for 7 nights.